"Serb" most probably meant 'kinsman' in proto-Slavic. Most probable `Serb` coming from the word (verb) such is `to collect` (in Serbian- `sakupljati`, `sabirati`). In Ukrainian language its `zbirati` [what because of that `z` reminds me of Russian Empress Catharine the Great who was of Lusatian Serbian origin, originally was Princess of Anhalt-Zerbst]. Then also in Polish `zbierać`. In Russian `sobirat`. In Czech `sbirat`. Etc. Lingustic stance is that speaking about meaning of Serbian ethnic name ultimately we coming to the `great mass of people` that was comprehend as one, united, around something. Explanations goes from things such are `united effort in collecting the food` to the `unity in defense/war campaign`. But, if we follow logic of Serbian language (not sure for Polish on this one), `kinsmen` would be in connection to Serbian word `rod/rodjak, rasa` (cousin, race) that refers to `kinship` in same tribal and even racial origin. But, later more on this. Topic is very interesting. In any case, attempting to understand meaning if ethnic name of Serbs we would learn much about Sarmatian name that in its original (native given) form was based on `Serb` name. In that sense think of local variations of Sarmatian name (that is foreign given form) within realm of our ancients > Serbja, Serby, Srbi, .... Then, we have variation preserved in the name of Siberia in Russia or even Sorbona in France (this example forcing me to think that maybe `Sorb` form existed within realm of the ancients as one of native forms (in some region) but, later, after assimilation and destruction of natives that form turned to be, by invaders, also assimilated and used to designate rest of Serbs/ie Sarmatians). Oh, that? I understand that. I am dreamer myself. Back then in our deep past, when Sarmatian realm stretched on inter-continental level, ancients had good life. Everything was more simple in the land of green and land of free. Not that it was easy but, man was a man and woman was a woman. Child, too. You had solidarity in everything and you had plenty of opportunities to live as `lone wolf. One could travel on all four sides of the world, all his life and. one could never see anything else but only land of Sarmatians. One could travel on all four sides of the world, all his life and. one could never see anything else but only land of Sarmatians. Seems boring to me. There's value in diversity. Then don`t worry. You`ll get extra diversity. Just walk round the next corner and one muja would be there waiting. To all of you! You are wonderful! I am so glad reviving this discussion! The subject, on slightly wider basis than only Slavic roots in Europe, is very interesting, and, in my opinion, very important, especially in so called modern world seeking its roots. Let take into account India. One friends of my, Indian mathematician very strongly involved into the history of his homeland, years ago had turned my attention to some astonishing facts from this history and, as the mathematician, some illogical statements and conclusions of so called "Oxford historians". They simply have "sticked" two rulers named Chandragupta for to make Indian history slightly shorter! It has not been possible for them to admit that such a "barbarian" country possess so long history! After differentiating this two rulers, everything goes back to the right position and there is no longer gap in a timeline between Mohenjo Daro civilization and "pure Indian" roots and... achievements. After all, the Indo-Europeans and Slavic tribes had gone out into the wide world from the exactly same place north of Caspian sea and south of Ural mountains, the very specific region, very important for Cro Magnon human beings. Recently, I have observed the same type of behaviour at so called "expants". I have an acquaintance from my pub, Muslim, living in Poland from more then 20 years, even married here. But lately, seems to be driven by TV propaganda, he has started to express some strange opinions on me, our collegues, Polish people, situation in Poland an so on. Nobody of us in the pub prosecute this man, and it seems that he feel herself very unhappy exactly from this reason - it is very hard to stay martyr without prosecution. Nobody of us in the pub can understand this situation. A few months ago, during "night talkings with beer in the background" I've heard from him, that this opinions and attitudes have been announced to him during some special meetings in Warsaw with the "old and esteemed men" - may be even "Sheikhs". What to do when meeting such a situation? Is there anybody who know how to dam such a stream of hatred? no you do not, what nonsense. Blessings of Christ and Svetovid on you, dobri prijatelju. Yes, I feel wonderful and wish the same to you. 1. Muslims do not hang around in pubs....generally. Why would they? 2. the person who wrote this is just making up some nonsense to be provocative. you do see that dont you Crowie? 12) non-Polish women wondering what the he1l is up with Polish men, how did they get that way? A very interesting typology indeed. The next step could be trying to assign every (or exemplary) member to a particular category (excluding Crow as he constitutes a category for himself). Prey tell into which category would you assign me as I cannot find anything for myself :-). some of them? because they feel like normal Europeans, for example. You know, in former Yugoslavia was many Bosnian muslims that were normal Europeans, prior NATO, EU and Islamic league made a deal and manipulated with them and introduced on them Nazi-Islam ideology (created by Germany During WWII). This is on-topic. The majority of the groups listed by Maf in his typology consist of people who are either Luzatians or Sarmatians which is why those posts are on topic. And the thread is devoted to "Lusatian-Sarmatic obsession", isn't it? When it comes right down to it, wouldn't it have made a lot more sense if Kennedy said "Ich bin ein Sarmater!"? On January 14. was the anniversary of death of one true Sarmatian. Pavle Evgenije Jurišić "Šturm" (born Paulus Eugen Sturm), Lusatanian Serb, veteran in Serbian-Turkish wars, military educated and also promoted field commander for exemplary military virtue, during WWI commandeered to the 3rd Serbian army during famous Battle of Cer- first allied victory in WWI. 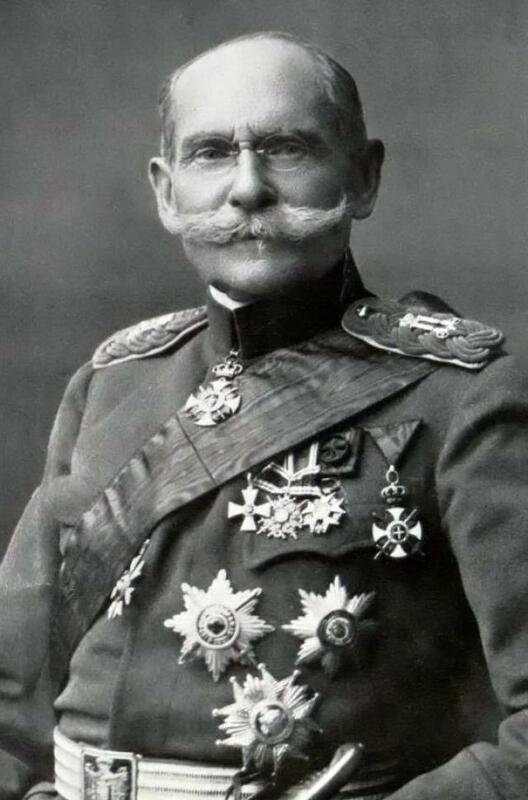 By his brilliant commanding, Serbian 3rd army timely prevented penetration of Austrio-Hungarian army behind flanks of Serbian 1rst army what allowed to general Stepa Stepanovic to inflict decisive strike into the enemy and victory was won. To give you picture of high level of Serbian victory over much more numerous opponent, I will give you some numbers. Austro-Hungaria lost in battle more then 25.000 soldiers and Serbia below 4.800 soldiers. Complete route and panic fleeing of Austro-Hungarin army occurred. It was this battle when Austro-Hungaria effectively died and that even yet wasn`t aware of that, no matter that snake still managed to inflict great suffering onto the Serbian people in years to come. After this battle, in every next conflict of Serbian-AH army, moral among mobilized Slavs, subjects of the AH Empire was so low and pro-Serbian that history recorded how complete regiments and battalions consisting of Czechs, Slovaks and Poles were turning to Serbian side against their former AH masters. Only when Germany sent huge reinforcements and after Bulgaria betrayed alliance with Serbs and hit us from the back, Serbia started to losing battles. Till the end of WWI, Serbia lost 1/3 of its population, liberating in the process itself, complete Slavic South and Slavic Adriatic coast, pursuing AH army all the way to Vienna until the final dissolution of AH Empire. Is there any monument or street name in Poland dedicated to General Pavle, Lusatian Serb from Zgorzelec ?? Any ?? I hope that exist. How so much he contributed to independence and freedom of Poland. I hope that Poles didn`t forget him. It would be sin. Try General von Steuben in the US (...before it became the United States of America)! The Prussian fought shoulder to shoulder with General Washington, plus, it was yet another German, Emanuel Leutze, whose painting of Washington crossing the Delaware prior to reaching Valley Forge, which remains one of the most indelible images in all of US history to this day. And there's always the former printer John Peter Zenger who was the first to openly champion freedom of speech in the colonies. Scratch the surface and you realize how are Germans in fact Slavs. Fortunately, some of them are aware of it. Some of them, like General Pavle, Lusatian Serb from Zgorzelec, always were aware of it. The man was from Görlitz though. Zgorzelec did not yet exist. Alright, Görlitz is at the moment located in German state of Saxony. But, even in its German form word `Görlitz` is of Slavic origin. Polish: Zgorzelec, Upper Sorbian: Zhorjelc, Lower Sorbian: Zgórjelc, Czech: Zhořelec. General Pavle himself used to say that he was born in `Gerlic` (not in Görlitz) and also used Polish form of word `Zgorzelec`. General Pavle was in pain that Lusatia still suffer German yoke. So he loved everything Serbian, no matter northern- Lusatian or southern- Balkan. And he served Serbdom and Slavdom well. Görlitz is at the moment located in German state of Saxony. lets hope it don't move too far, great place for a visit, of course the home of the grand hotel budapest. Görlitz has a particulary beautiful city center that was extensively restored after German reunification. Oh i know it well I visit once a month, nice Polish restaurant the other side of the freedom Bridge, gorlitz is a must see especially new years eve. Now, when you know. Please, next time you are there, go in Church there, whatever Church, and give one prayer for general Pavle, presumably, you are Polish or any Slavic soul. Man contributed to independence of Poland, too. To liberation of all Slavs within A-H and Ottoman Empire. Also, he was one of ever greatest, untold and not openly mentioned, military genius. Its a rare talent and luck for one general commander to take part in crucial battles that led to crumbling of two empires. General Pavle by his military virtue helped in putting down Ottoman Turkish and Austro-Hungarian Empires. True, true genuine commander of all times. And great Sarmatian. May he rest in peace. Not that I blame him for fighting for his chosen home country, but it is regreattable that he took part in the greatest geopolitical tragedy of the 20th century. The Balkans experienced under the Habsburgs a time of never known time of prosperity, and the collapse of AH lead to so many tragedies later on. We are still trying to undo the damage to this day. Read something and eat something to think better and read with better understanding. What have you written here moreon this and more on that from you and readers will become morons. Whether our aristocrats were Sarmatians or not is not proven or unproven, Slavic history requires much deeper studies and exploration. Sobieski died a few years ago Ktos. Unlike you he is missed around here. @Crow, is it not possible that maybe the reverse is true, that all Slavs have more than a little German in them, more that is, than many might care to admit? Impossible. Even theoretically impossible. No matter how romantic it may sound to some. No matter how some may wish for it. Scientific truth is final absolute. See, Germans and Germanics in general, same as Romano-Brits, English, French, Hungarians, etc, etc represent ethoses formed out of cultural movement that was result of inter-cultural exchanges. It all happened within Sarmatian world (and sometimes stimulated by contacts with non-Europeans). Those are quite sold facts. No space for any denial of it. We have evidences how Ice age advanced across Europe. We have evidences how human and animal populations retreated due to glaciation. We have evidences of Ice age refugiums. Then we have evidences of retreat of ice and slow advance of population and animals and new resettling of Europe along the rivers network. Its all pretty logical and had its natural laws. Then, we know how Romans drawn their borders from within Sarmatian realm. Sarmatians were inside and outside of Roman borders. Influences, cultural exchanges. Simple, all what is White in Europe is of Sarmatian (ie Slavic) origin. In origin and well, they sure have right to be whatever they want to be now or in future.